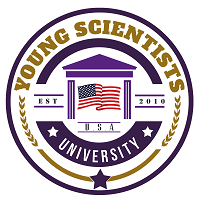 Young Scientists University is focused on providing excellence in all of its associated functions as an Institution of Higher Education. With this in mind, the primary objective of the Recognition of Prior Learning (RPL) for the university is to ensure that an individual’s prior learning achieved through formal and informal training, work experience or other life experiences is appropriately recognized. 1. The RPL assessment process provides for the academic recognition of current competencies regardless of where these may have been acquired. 2. Recognition of Prior Learning specifically refers to the identification of industry and/or enterprise currently held competencies which are the result formal and informal training, regardless of how, when or where the learning occurred. 3. Prior learning strengthens the foundation of experience-based training and learning. It is essential that Institutions of Higher Education have a demonstrable commitment to the Recognition of Prior Learning of individuals. 4. The acceptance of prior learning shall be available to all potential applicants without exclusion based on how, when or where the learning occurred. 5. All portions of a prior learning process shall involve assessment steps that are fair to all involved parties. 6. Individuals seeking prior learning recognition shall be entitled to adequate support from representatives during the RPL process. • To actively seek the increase of access to RPL by individuals with an interest in participating in degree program study. • To ensure that each separate and independent portion of an RPL assessment is fair and focused on clearly determining an individual’s eligibility for the receipt of credit for prior learning. • To encourage the implementation of RPL policies which are consistent with international standards and principles commonly held by Institutions of Higher Education. • To ensure that each of the procedures within the RPL process incorporates a range of valid and reliable techniques designed to accurately assess any competencies held. • To promote value in ‘non-traditional’ (other than classroom/onsite based) learning as a significantly valid pathway to competency achievement and recognized training outcomes. 1. The RPL assessment process shall be valid, reliable, flexible and fair. 2. The RPL assessment process must be designed to cover a broad range of skills and knowledge needed to demonstrate competency within a given area of knowledge. 3. The RPL assessment of an individual’s competencies should be a formal process, which integrates knowledge and skills with the practical applications focused on the content area for which the individual seeks recognition. 4. Throughout the RPL assessment, judgments made in regard to determining an individual’s competency should, wherever possible, are made based on evidence gathered through the examination of relevant experience in a variety of contexts or situations. 5. The RPL assessment process should be regularly monitored and reviewed by the appropriate Institutional body to ensure that there is consistency in the interpretation of evidence. 6. The RPL assessment should be comprehensive, e.g. it provides the examination of both on and off the job components of training or experience demonstrated by the individual. 7. The RPL assessment process should in principle and practice support the recognition of competencies regardless of how, where or when they have been acquired. 8. The RPL assessment process should be available to individuals so they can proceed readily from one competency standard to another. 9. The RPL assessment process must be equitable to all individuals. 10. The RPL assessment procedures, as well as any criteria for determining performance, must be made clear to all individuals seeking the assessment. 11. The RPL assessment process should be a participatory approach to assessment. The process of assessment should be jointly developed and agreed upon by both the assessor and the individual. 12. At the conclusion of an RPL assessment, individuals should be given the opportunity to challenge assessments and provision must be made for reassessment. • The assessment must not be based on a judgment made about competencies for which there is insufficient evidence. All evidence collected during an RPL assessment should be gathered, reflecting experiences and knowledge in a number of contexts or situations and using different methods. must be clearly stated and adhered to. • As a minimum requirement, individuals assessing new assessors must demonstrate competency in both the current assessment standards. RPL assessment procedures must cover both on and off the job components of the knowledge and experiences being evaluated and assessed. • Specific processes should be available for individuals to seek recognition of current competencies. • The determination of competency based on the RPL assessment should provide for a specific range of included prior knowledge and experience related to a given content or contextual area. review and have an opportunity to appeal an assessment decision. • Because the RPL is designed competency at a high level of understanding and knowledge, as the level of risk increases there should be a corresponding increase in the consistency of the processes. Increased consistency is achieved through the requirement of additional evidence of higher quality as well as the involvement of more evaluators to review the evidence and make the final assessment and decision. The associated fees and/or charges for Recognition of Prior Learning services from the School follow the basic principles of access and fairness under the scope of the Institution.